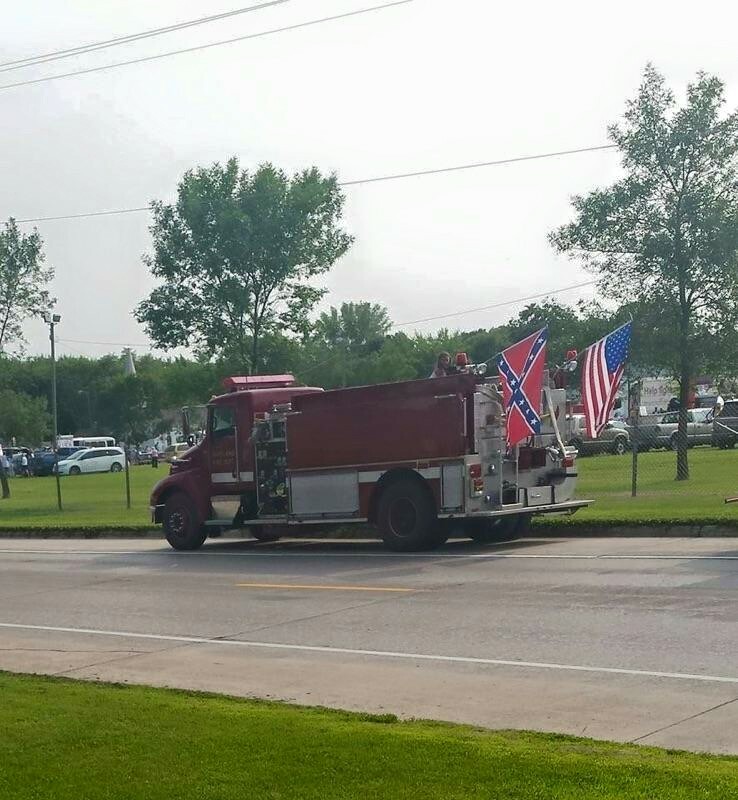 Minneapolis, Minnesota: — Brian Nielson, a Minnesota volunteer firefighter, has been suspended for flying the Confederate Flag on his fire truck during a parade. He was driving a Hartland Fire Department truck. Nielsen also serves as an EMS for the same department. Nielson claims the chief is upset because the town is getting a lot of negative attention. If the department asks him to resign, he’ll do it. Nielsen claims he’s not for slavery or a racist, but feels political correctness is effectively changing the country’s history. Nielsen never expected the choice would get so much attention. 4 Comments on "Brian Nielsen fired for Confederate flag in Parade"